There is a calculation behind the index (AQI). There are six or eight pollutants in the affected air. Each of these pollutants is given a weight based on a formula. 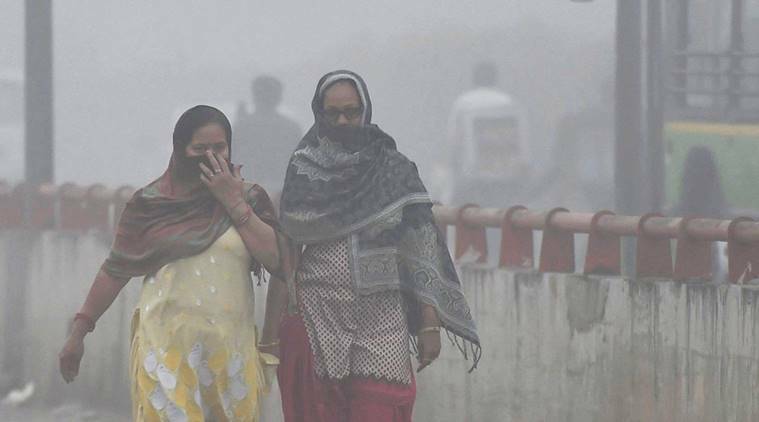 As stubble burning in neighbouring states blankets Delhi skies with smog pollution reaches hazardous levels, Indian Express tries to explain what the Air Quality Index (AQI) is and how it is calculated. AQI is a number used to communicate to the public how polluted the air currently is or how polluted it is forecast to become. As AQI increases, an increasingly large percentage of the population is likely to experience increasingly adverse health affects. Different countries have their own air quality indexs, corresponding to different national air quality standards. In the video below, Senior Editor at Indian Express, Amitabh Sinha, explains how the AQI works. IIT Kanpur has come out with a final formulation after some years of research. The index will throw up one number which will be given to the public and people will know–based on this number and one associated colour code– what the health of their air is–how good or bad their air quality is. Earlier, these pollution numbers were not getting to the public. There is a calculation behind the index (AQI). There are six or eight pollutants in the affected air. Each of these pollutants is given a weight based on a formula. That weight depends on the kind of impact it has on human health. So each of these pollutants is given a weight. The worst of these weights is given as a composite air quality. So instead of giving you six different numbers, six different colors, it throws up one single colour, one single number.